The National Leader of the All Progressives Congress, Asiwaju Bola Ahmed Tinubu, Transport Minister, Rotimi Amaechi, and his Power, Works and Housing counterpart, Babatunde Raji Fashola, attacked former president Olusegun Obasanjo at the presidential rally of the APC in Lagos State. 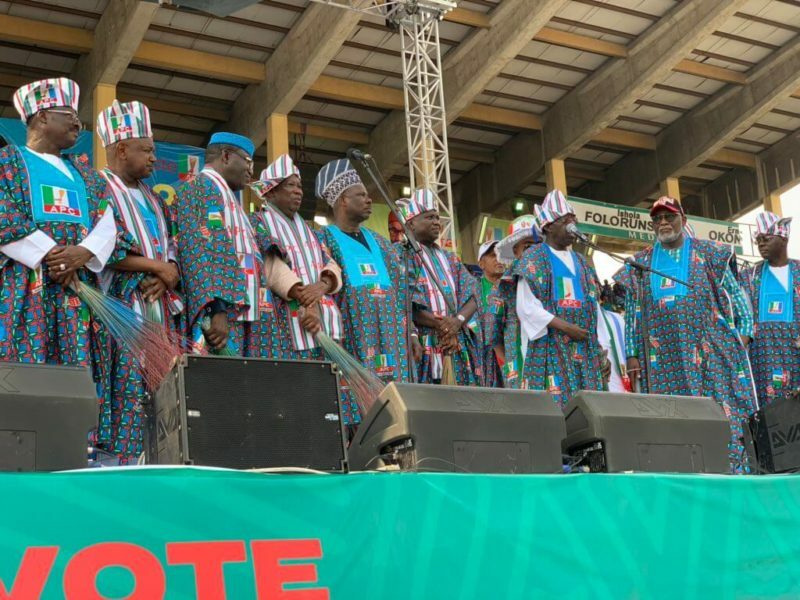 The Lagos presidential rally of the APC held at the Teslim Balogun Stadium in Surulere, with many chieftains of the ruling party in attendance. When called on the podium to speak on why Lagosians should re-elect President Muhammadu Buhari in the February 16 presidential election, Tinubu recalled how the President was able to pay the entitlement owed to retrenched workers of the defunct Nigeria Airways. The APC Leader said the Buhari government paid the Nigerian Airways workers their entitlement even though it was allegedly the PDP administration that crippled the national carrier. He accused the PDP government of getting rid of huge manufacturing companies in the country such as Dunlup and Michelin. Tinubu also attacked Obasanjo, accusing him of being the “greatest election rigger” in the country. He described Obasanjo as an “expired milk” that should be dumped in the waste being. Speaking also, Amaechi said the current administration of President Buhari has been able to build railway in parts of the country and intends to do more if re-elected into office. The Transport Minister took a swipe at Obasanjo, saying “Lagos you owe us one thing on February 16, which is to come out and vote for President Buhari. How many of you saw me riding a train from Lagos to Abeokuta? You saw that the train was beautiful right? We ate rice, beans, efo riro and eba [on the trip]. 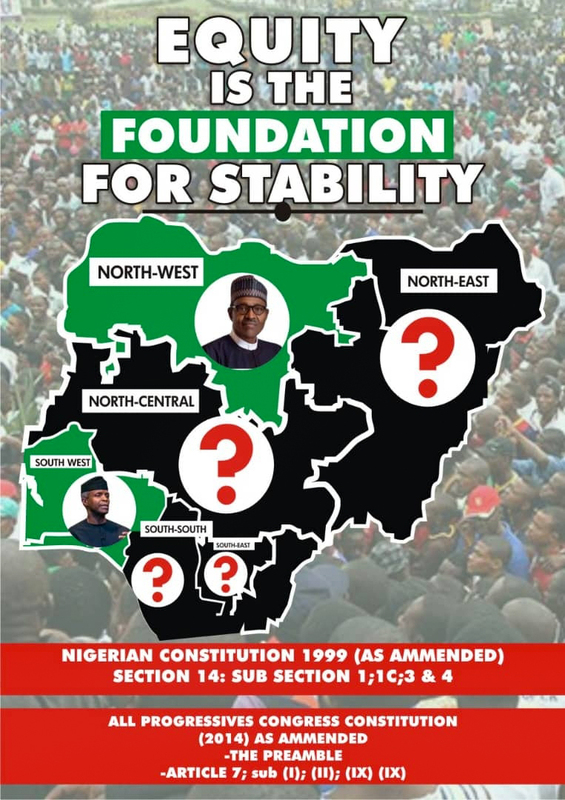 But that’s not the issue; the issue is that if you don’t vote for Buhari as President…you would not have that train run to Abeokuta. Speaking also, Power Minister, Mr Fashola said President Buhari does not have the time to be writing letters, but rather that the President takes action. The Minister was apparently referring to the series of open letters written by former president Obasanjo where he called on Nigerians not to re-elect President Buhari.